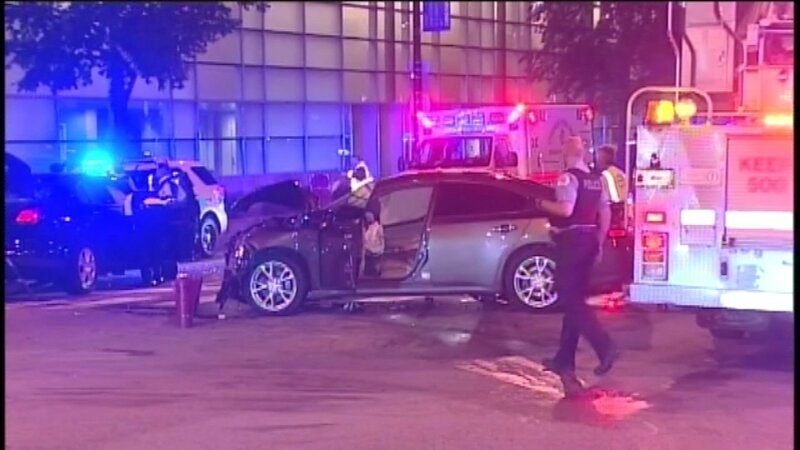 CHICAGO (WLS) -- A Chicago police officer was among several hurt in a car crash in the University Village neighborhood Saturday. Officers observed a vehicle that had been used in a previous shooting ant attempted to curb the vehicle, police said. The suspect's vehicle eluded the unmarked police cruiser, which crashed into another vehicle near Roosevelt Road and South Union Avenue just before midnight. The officer and two people in the other vehicle were hospitalized. All were treated and released. The suspect's vehicle was later located.